Low Rates on Texas Tow Truck Insurance Are One Call Away! Shopping for better options on Tow Truck Insurance in Texas? If so you have definitely found the right company! Pathway Insurance represent a number of top rated companies offering great rates on Tow Truck Insurance in Texas. Call us toll free by dialing 800-998-0662 through the workweek or use our Chat System to speak with licensed agents seven days per week up until 5 PM CST. Alternatively you can click commercial tow truck insurance Texas to send us your basic details and one of our agents will call to begin working on your account. If you want better options on Tow Truck Insurance in Texas you want an experienced agency to help you navigate all the complexities of coverage options. With many years of experience the agents of Pathway Insurance will use their knowledge to help you find the coverage you need at a competitive rate. Texas Tow Truck Insurance – Not Your Average Truck! When you search for images of tow trucks you typically find the results lean heavily toward “hook and chain” trucks. These are designed to lift up the vehicle by the axle in order to tow it, but there are several more types of tow trucks used. A “boom” truck is primarily used to haul vehicles out of a ditch or any location that is too difficult to reach by backing up. There are a few different boom trucks models but they all essentially serve the same function. “Wheel lift” trucks have a device that cradles the tires of the vehicle to be towed. This reduces the likelihood of damage to the towed vehicle as it uses the tires as the main point of contact. The “flatbed” truck has a large bed that is connected to the truck. It can be lifted or lowered using a hydraulic system. The entire vehicle rests on the bed while being towed. For all wheel drive cars this method may be preferable because there is no pressure being applied to the rear wheels, as they are with “hook and chain” and “wheel lift” models. No matter what type of Tow Truck you own we can insure it fast, with a competitive rate, and provide a superior level of service compared to any of our competitors. But we offer more than good rates – we offer advice to keep your rates low. 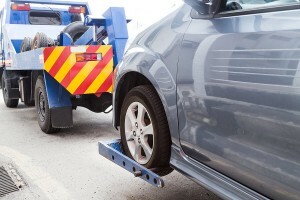 Tips to Keep Your Texas Tow Truck Insurance Rates Low. There will be a large variety of jobs a tow truck driver will be dispatched. From illegally parked cars, broken down vehicles, or accident scenes to pulling vehicles out of rivers and lakes. It is important to make sure all of your systems and lights work. This is paramount regardless of the type of jobs you will be called to do. Are all fluids at the proper levels? Maintenance can mean a big difference between being safe and a potential hazard. Wear brightly colored clothing and safety gear so you are highly visible to other people. If you are called to the scene of an accident it is important to keep your environment in mind. Your lights should be flashing to alert other motorists of your presence. If there are bodily fluids wearing a one piece outfit, like those an exterminator might wear, can reduce the likelihood of those fluids ending up on you. Be sure to wear an extra layer of waterproof gloves as well. Safety cones, and portable lights can help to alert other motorists of your presence as well. Ways to improve your visibility, such as cameras, are imperative to maintaining a safe work environment. If at all possible having roll up doors and tool boxes with slide away doors can reduce the amount of distance you need to be from your truck. Obeying traffic laws is also important to avoid unnecessary moving violations and accidents. Your life is important so when operating your tow truck stay safe! The Right Coverage for Texas Tow Truck Insurance! 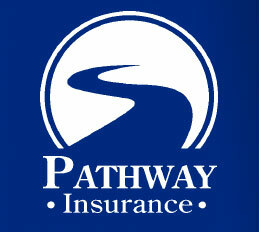 The qualified agents at Pathway Insurance can help you find the coverage you need. Use our Online Chat System that is available 7 days per week to speak with licensed agents or call us toll free at 800-998-0662 or click tow truck insurance Texas to send us your request for quotes and information 24/7. Pathway Insurance offers Tow Truck Insurance in Texas, Florida, Georgia, Tennessee, Kentucky, Ohio, Indiana, Michigan, Minnesota, and the state of Maryland. Why not call us today or use our online chat system to speak with a licensed agent.